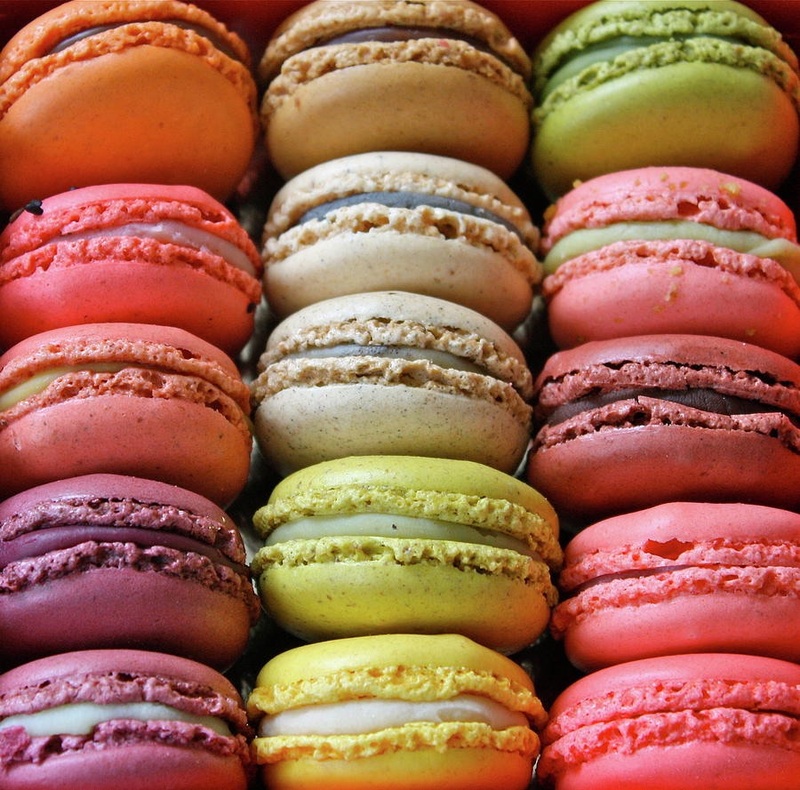 FYI: Sweet, delicious and delicate cookies, called macaroons, do not travel in a suitcase on an airplane very well. I suspected that one or two might be cracked or bruised from their hour and forty minute flight, but felt hopeful that a few would come through unscathed. I am working on maintaining a glass is half-full mindset. However, as I watched the neon-yellow vested workers move the bags and suitcases from the luggage cart, I knew with absolute certainty the cookies would be more than merely bruised. The madmen threw the baggage with all of their might onto the conveyor belt. I saw them heave each piece into the air and cringed at the thud of the forceful impact as the bags hit. Bottles of lotion exploded and hair spray detonated, and toothpaste oozed out, punctured by an errant nail file; I imagined the chaos with my X-ray vision. Woe to the fool who packed a precious framed photo wrapped in a sweater or brought along a favorite cologne, the glass would surely shatter into a million pieces and a wonderful fragrance would seep from an otherwise odorless bag. My husband sat next to me in disbelief at the abuse of the luggage. Bag after bag endured the same treatment. We watched wordlessly until a green bag, similar to my own, passed through the hands of the men. “Bye-bye macaroons,” my stoic partner commented sadly. Unpacking later that day held no surprises, the contents of our suitcases were both well shaken and stirred. I rummaged through the clothes and pushed a pair of shoes to the side to extract a crumpled bag. Inside of the bag were two crushed, plastic boxes holding the hopelessly crumbled and unrecognizable remains of the macaroons. Macaroons seemed like the most obvious souvenirs to bring back from our nation’s capital, at the time. Now, I’m wondering, with only crumbs to show for our travels, if we should have gone with the matching t-shirts of the upcoming Papal visit? Once again, hindsight is 20/20.